The tiny nation-state of Singapore styles itself the Switzerland of Southeast Asia, owing to its stable and well-developed banking system, low government corruption, and high living standards. Singapore money underpins this all, creating one of the most stable and reliable currencies in the region. 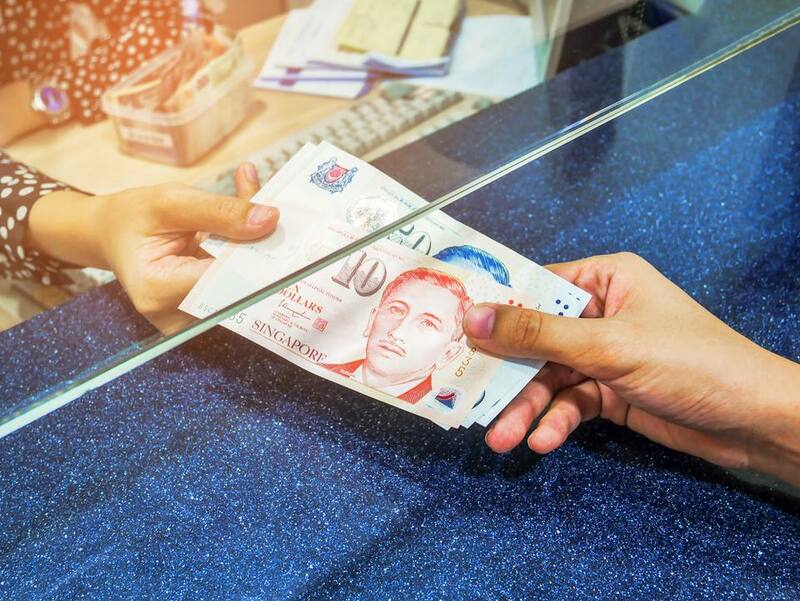 Visitors will have no problem changing their US dollars for Singaporean currency in any of the many moneychangers or banks throughout the island. Lower expectations simply do not apply – Singapore is a thoroughly modernized nation, and visitors can expect to play by the same money rules as they would in London or New York. This is good news for travelers looking to explore Singapore's varied shopping scene and tax-free retail situation; most shops take plastic and good, hard cash with no trouble at all. The Brunei dollar is also legal tender in Singapore on a 1:1 exchange rate, owing to an agreement between the two tiny Southeast Asian nations. Some shopping centers and hotels accept US Dollars, Australian Dollars, Japanese Yen and Pounds Sterling. Many stores will accept these denominations, including travelers' cheques, at a slightly lower rate compared to those of moneychangers. For information on how far your dollar can go in Singapore, read this: what $100 buys you in Southeast Asia. Singapore is a major Asian financial hub, so it has a fully developed banking and exchange system. Money can be changed in banks and authorized moneychangers everywhere in the city-state. Licensed money changers can be found at Singapore Changi Airport, Orchard Road shopping centers, the Central Business District near City Hall, and other major areas of commerce (Little India and Chinatown, among others). Look for a "Licensed Money Changer" sign to be assured of prompt and honest service. Moneychangers' exchange rates are competitive with those of banks (even better, because moneychangers don't charge service fees). Many moneychangers sell many other currencies besides Singapore dollars, but you should inquire first. Banks also will change your dollars to local currency. There's a bank on every corner to do business with, although banks may charge a flat fee of SGD3.00 per transaction. Banks are open from 9:30 a.m. to 3 p.m. during weekdays, and 9:30 a.m. to 11:30 a.m. on Saturdays. Automated Teller Machines (ATMs) are located all over the city-state - every bank, MRT station, or shopping center has its own. Machines with a Plus or Cirrus sign will let you withdraw money using your own ATM machine. Most machines allow Visa or Mastercard withdrawals. United Overseas Bank - Sitemap (to find ATM locations, click on"ATMs" link in "General Information"
There's no need to tip in Singapore. The practice is discouraged in Changi Airport and is not expected at establishments where a 10% service charge is in force (read: most hotels and restaurants). Not even taxi drivers, hawker centers, and coffee shops expect tips. Eat at hawker centers. With a cheap hawker center on almost every street corner, you have no excuse to dine at expensive restaurants in Singapore. Hawker meals cost as little as SGD 5 per helping. Take public transportation. Ditch the Uber for an EZ-Link card that gives you access to Singapore's super-efficient public transportation system. One EZ-Link card stores fare for both the MRT and the buses. Stay in a hostel or budget hotel. We get it: you want to stay in the middle of the action, so you'd prefer to book a Orchard Road and Marina Bay hotel room if possible. But if you want to scrimp, you'll need to try one of Singapore's budget hotels instead, centered around ethnic enclaves like Chinatown or Kampong Glam.